Check Out the Exclusive Win-A-Mat for the 200th YCS! There’s a brand new Win-A-Mat prize, exclusive for the 200th Yu-Gi-Oh! Championship Series! Check out the new Game Mat available for the first time this weekend in the Win-A-Mat Public Events! Check Out The New Win-A-Mat! Amongst the festivities here this weekend, a new Win-A-Mat exclusive game mat is making its debut! Check out the latest Win-A-Mat prize, featuring Dark Rebellion Xyz Dragon and the Dark Duelist himself, Yuto. Check out the new Win-A-Mat tournament prize featuring Yugo and his signature monster, Clear Wing Synchro Dragon, from Yu-Gi-Oh! ARC-V series starting this month on Nicktoons! New Win-a-Mat Prize Mat Featuring Barian Emperor Marin! Check out the latest Win-a-Mat prize, featuring Marin and her signature Chaos Xyz Monster, Number C103: Ragnafinity! Check Out The New Mat! Check Out This Weekend’s Win-A-Mat! 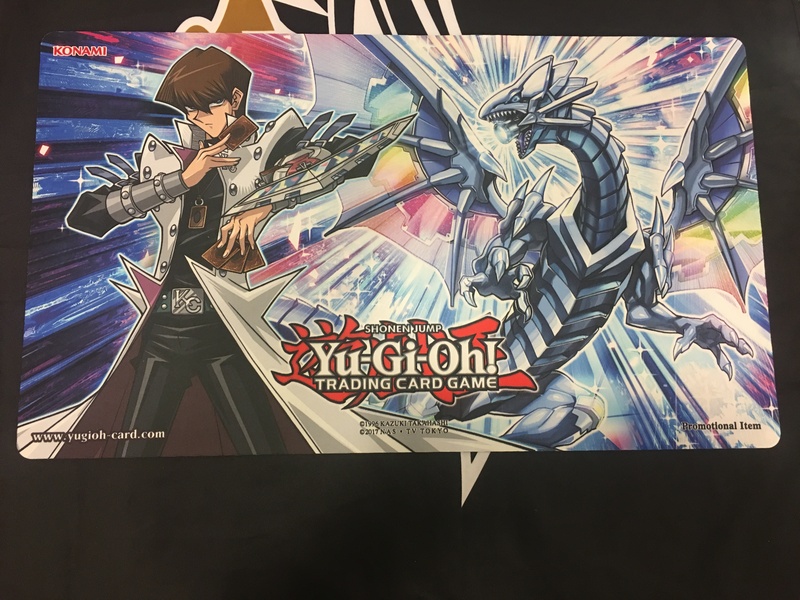 In case you missed it at YCS Toronto, the Number C32: Shark Drake Veiss game mat is once again available as a prize in Win-A-Mat tournaments! Alex Martin from New Jersey won the tenth flight of the charity Win-a-Mat tournaments with his Chaos Dragon Deck. He beat an Elemental HERO Deck in the finals to claim his new Game Mat.